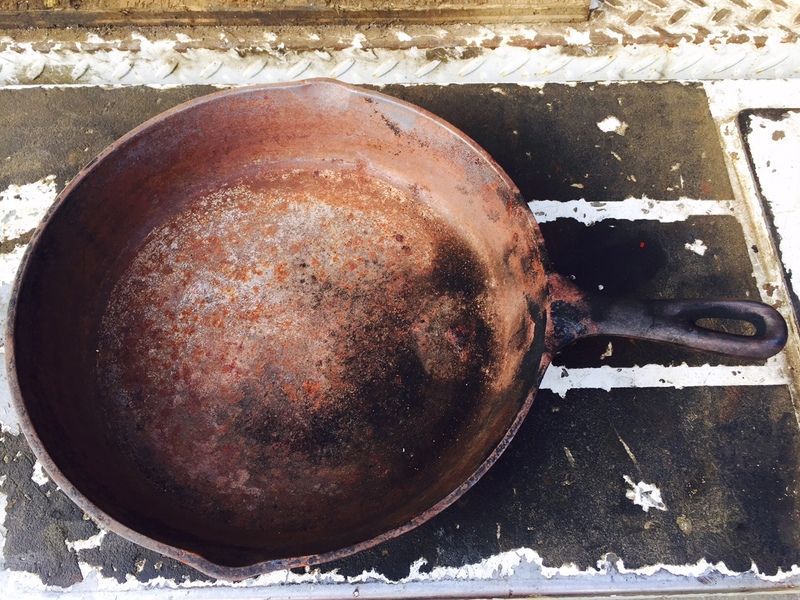 I think my favorite part of owning vintage cast iron frying pans is the fact they connect us to the past. 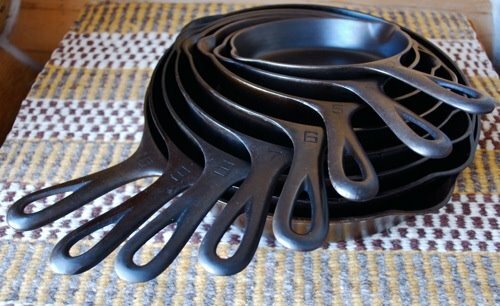 For me, they bring back memories, especially of my dad cooking bacon and eggs for everyone in a big ol’ cast iron frying pan whenever we visited the cabin. He still has that pan and he still uses it. To remove the rust his tools of choice were an air powered die grinder and wire wheel. He is a very patient man and spent about an hour gently grinding both inside and out. He wiped them down and then started the seasoning process. 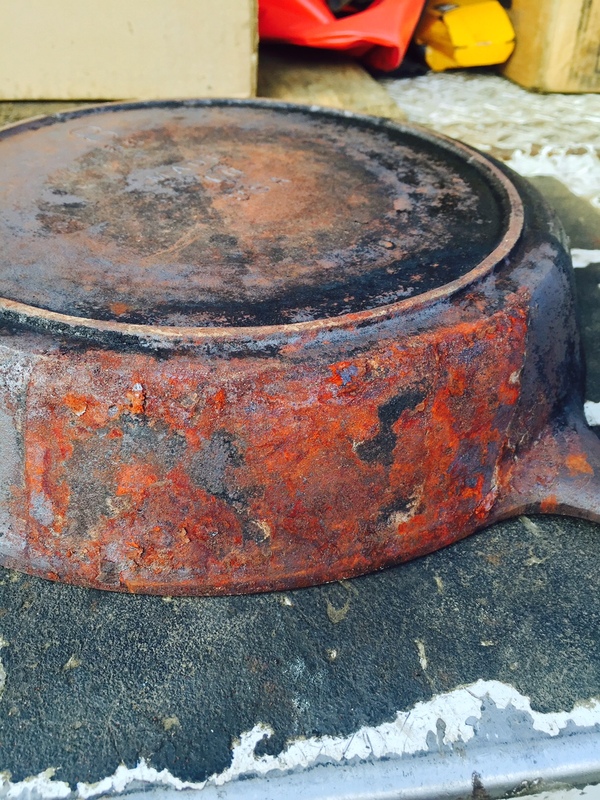 This is the pan after it was grinded. He did quite a lot of research on the internet and decided on the Crisco method using the bbq. His inspiration came from a you tuber who calls himself Savage No More and the video is entitled “How To Strip & Re-Season Cast Iron Pans On The Grill”. The seasoning process was repeated three times, starting with a preheated 300 degrees farenheit bbq and increasing the heat by 50 degrees each time. 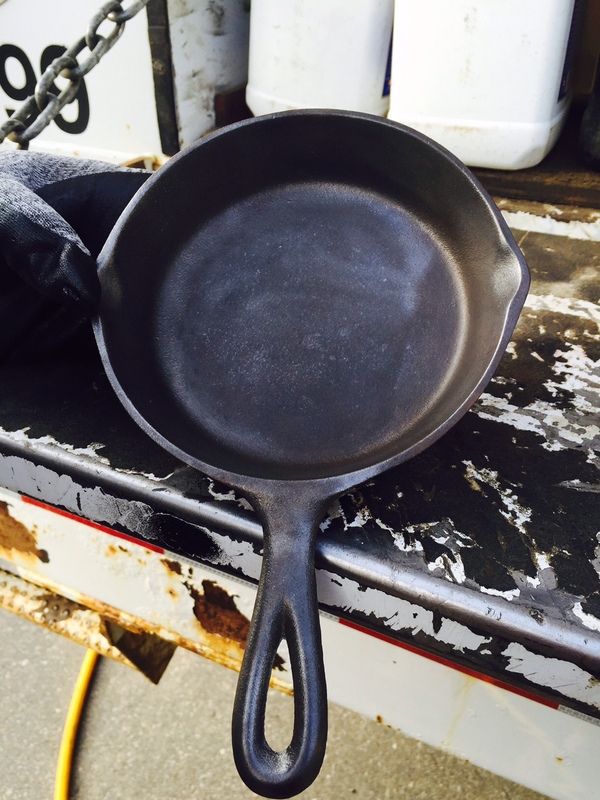 He wiped Crisco over the entire pan inside and out, including the handle. It was placed face down and heated for an hour each time, letting it cool completely between seasonings. I forgot to get a picture after it was finished because he was so excited to use it. 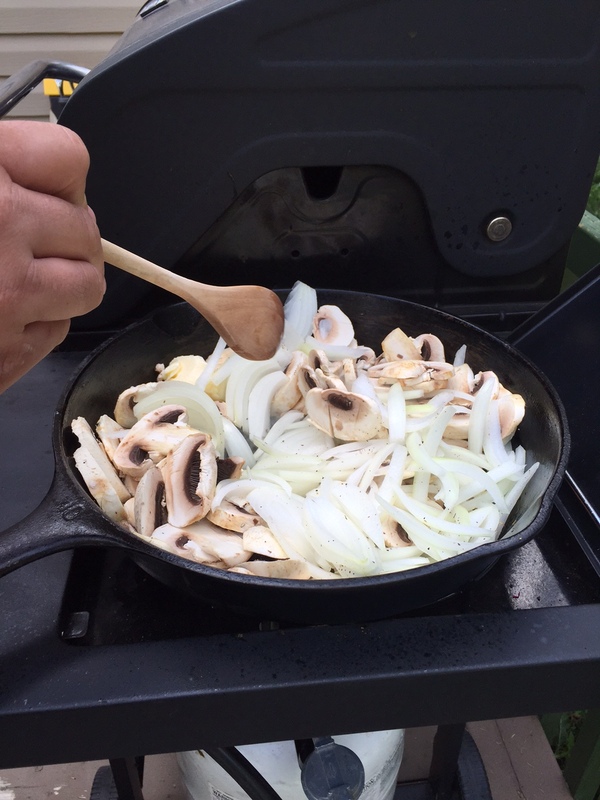 Reviving and cooking with a cast iron frying pan. This entry was posted in DIY and tagged antique, auction, cast iron, die grinder, DIY, easy, Food, frying pan, ideas, inexpensive, recycle, repurpose, reuse, wire wheel. Bookmark the permalink.